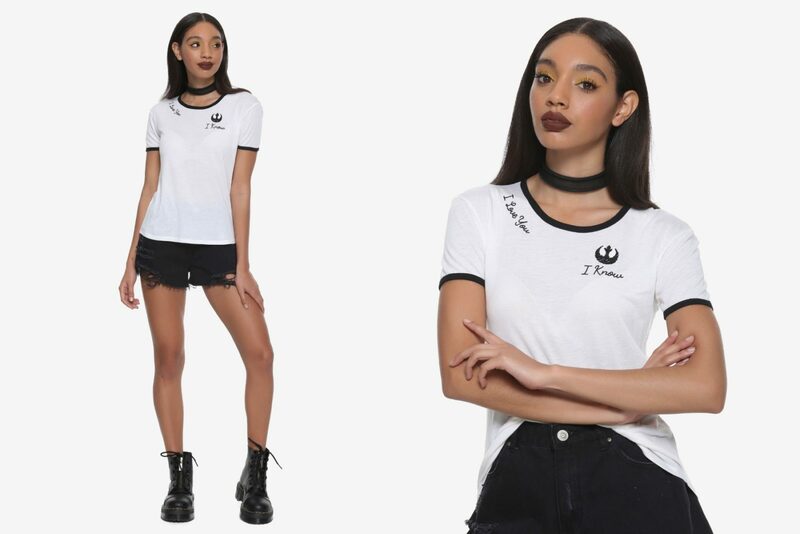 This new women’s Star Wars quote t-shirt is now available at Hot Topic. The white ringer-style t-shirt features the classic Princess Leia and Han Solo exchange ‘I Love You’ – ‘I Know’ embroidered in black. 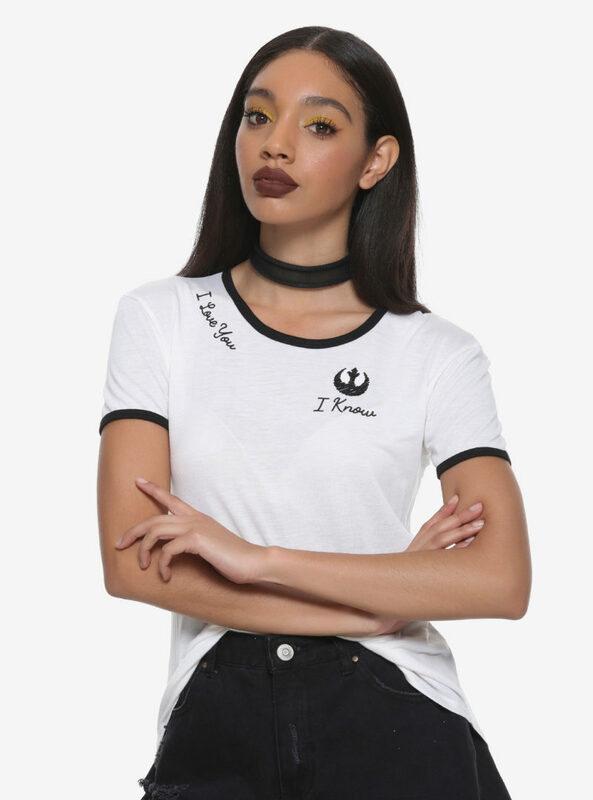 The t-shirt also features a small Rebel Alliance ‘starbird’ symbol embroidered alongside the ‘I Know’ text. Who says this iconic quote from Star Wars can’t be referencing self-love? 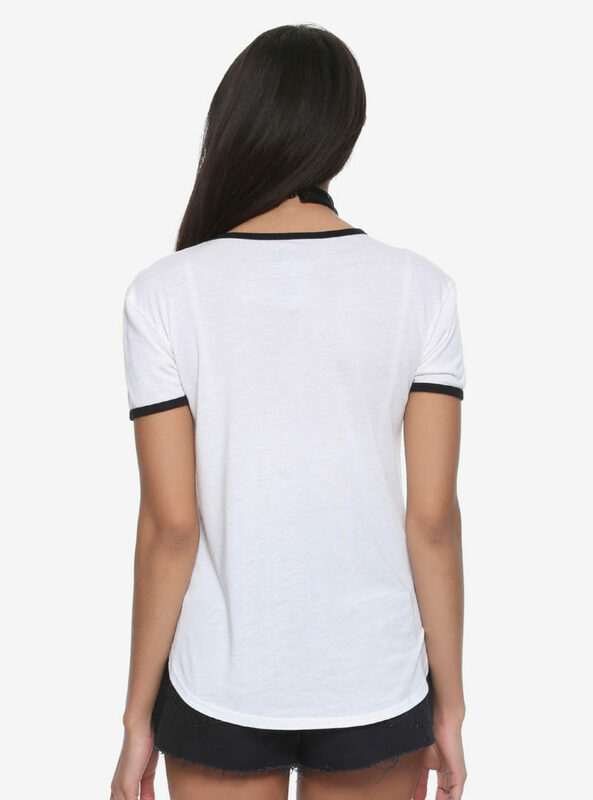 Give yourself a Valentine’s gift with this ringer tee. It features an embroidered Rebellion symbol on the left chest with “I love you. I know.” text design. Available in sizes XS to 3X, the t-shirt is priced at US$24.90 to US$28.90 each (depending on size) – Hot Topic can ship internationally, which is great!